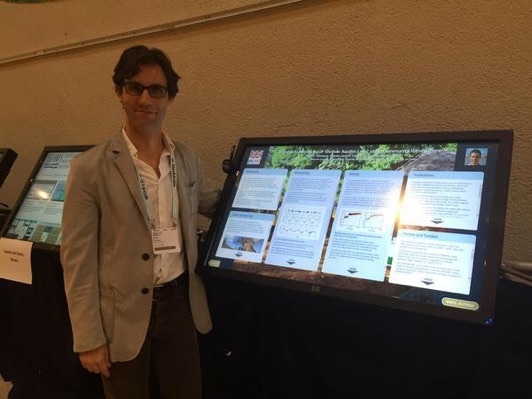 Patrick Thomson, from the Oxford-led UPGro project “Gro For Good”, has won the prize for the best poster at World Water Week 2015 for the work that he and colleagues at the Institute of Biomedical Engineering at Oxford have been doing on shallow groundwater monitoring using Smart Handpumps in Kenya. This work will continue under the UPGro Consortium phase. Two presentations followed extensive discussion. Groundwater risks and institutional responses in Kwale, Kenya (Jacob Katuva, Oxford University) and From Codes of Practice to a Code of Conduct – groundwater governance in Kenya from a drillers perspective (Tom Armstrong, JB Drilling). Practical issues of borehole design and construction, groundwater quality, gender and poverty as well as the realities of the Water Resource User Associations (WRUAs) in Kenya, and plans of the Kenya Water Industry Association (KWIA) were discussed.